A directory of services offering information, guidance and advice for victims, their friends and families. It is also a useful reference for service providers and practitioners. It can involve rhetorical and physical manifestations of hatred directed toward individuals and/or their property, toward community institutions and religious facilities. The Crown Prosecution Service (CPS) define a hate incident as “any incident which the victim, or anyone else, thinks is based on someone’s prejudice towards them because of their race, religion, sexual orientation, disability or because they are transgender.” This can be incidents where hate is present in someone’s behaviour or actions, but no crime is committed. Hate incidents can feel like crimes to those who suffer them. Not all hate incidents will amount to or escalate into criminal offences, but those that do become hate crimes. We are dedicated to challenging, combating and eradicating hate crime and hate incidents. To achieve this, we work in partnership with a diverse range of organisations across the area, all of whom have a zero tolerance approach to hate-motivated behaviour. Working together, with these joint aims, ensures that respect for diversity and community cohesion is promoted, and supports your right to enjoy a life free of crime. 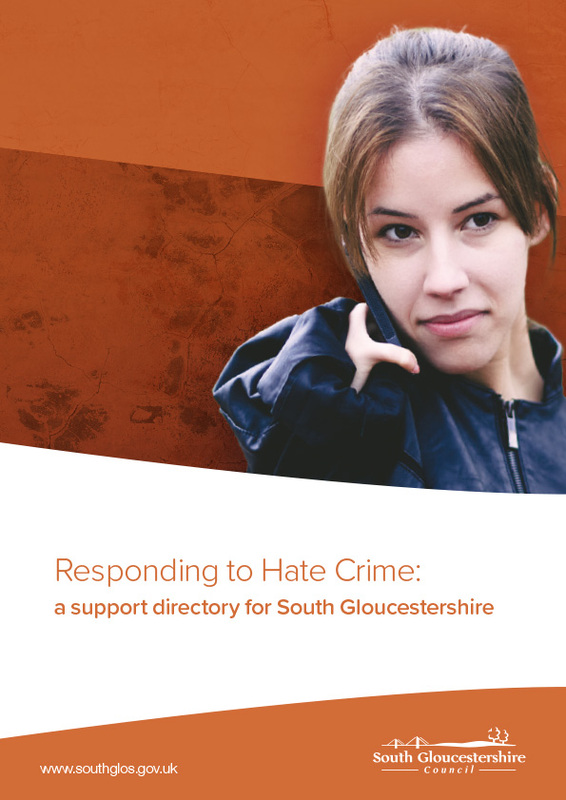 Our senior managers and members are committed to doing all we can as a council to counter hate crime in whatever guise in South Gloucestershire. The leaders of the three political groups have issued a joint statement to reinforce their shared view. “We want to make it clear that hate crime has no place in South Gloucestershire or anywhere else in our country. Hate crimes are an attack on our values as a local council and on our community. Why should you report hate crime/incidents? If you experience a hate crime or incident you should report it to the police or one of the other appropriate support agencies listed below. By reporting incidents you are allowing agencies to offer you the support and advice you need and to ensure offenders are brought to justice. By reporting hate crime/incidents, you are also enabling the police and other agencies to gain a greater understanding of the extent of hate within your local area, and therefore develop improved responses, and you may also be able to prevent other people becoming victims of hate. How do I report hate crime?